This year, the SBM gave three such awards, including one to William Forsyth, who devoted his career to prosecution service. Mr. Forsyth has both strengthened and shaped the American system of justice throughout his career as a lawyer. He has demonstrated an intense commitment to something he believes in over a significant period of time; which is exactly what a public servant is. His service to the public through his admission to the State Bar of Michigan in 1974 totals 42 years. 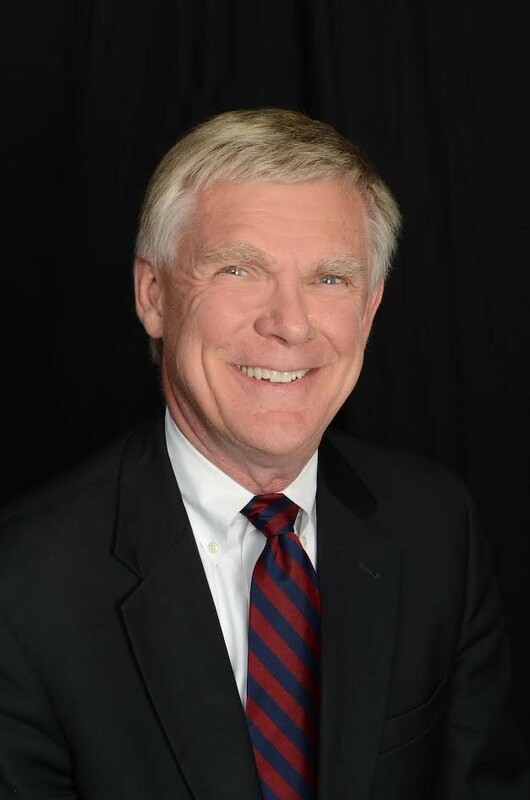 Mr. Forsyth joined the Prosecuting Attorneys Association of Michigan (PAAM) Board of Directors in 1988 and quickly established himself amongst colleagues as an impartial professional and representative of the criminal justice system. 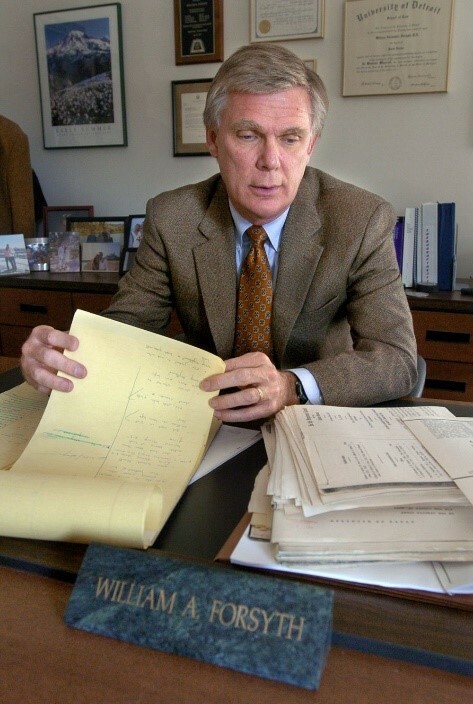 In 1997 he became President of the association and was a large contributor in drafting Michigan’s truth-in-sentencing law that is valuable for both victims of crime and defendants. After noticing his leadership, he was elected to the Prosecuting Attorneys Coordinating Council (PACC) in January 2001 to represent counties having populations over 400,000 persons. PACC, by statute, is charged with “keeping the prosecuting attorneys and assistant prosecuting attorneys of the state informed of all changes in legislation, law and matters pertaining to their office, to the end that a uniform system of conduct, duty and procedure is established in each county of the state.” Mr. Forsyth continued in that role and then was elected Chairman of PACC in 2013 and still embraces that position today. Other statewide service dedicated to pursuing justice include: State Bar of Michigan (1974-Present), Member of the Crime Victims’ Services Board (1997-2003) and Chairman of the Crime Victims’ Services Board (2000-2003). In addition to his activism with Michigan’s truth-in-sentencing law, the Michigan Legislature has solicited his expertise to craft fair and ethical laws for our state on numerous occasions. He has testified before the legislature countless times on issues impacting criminal law in the most objective ways possible. At the local level, he has been a member of the Kent County Community Corrections Advisory Board (CCAB) since 1989. Board members appointed by the Kent County Board of Commissioners are “responsible for community corrections planning and policy-making with regards to the community corrections funding received from the Michigan Office of Community Alternatives (MOCA).” CCAB members review and discuss issues pertinent to the criminal justice system in Kent County and analyze how community corrections programming funding through the Kent County Office of Community Corrections can positively impact these issues. Furthermore, Mr. Forsyth took on another leadership role becoming a member on the Grand Rapids Community Board for Ele’s Place, a healing center for grieving children and teens, from 2013-2016. His urge to help children is alsodemonstrated by his efforts on the Kent County Family & Children's Coordinating Council, which brings together service providers to coordinate and improve services for children, youth and families. As you can see, Mr. Forsyth’s passion for the law and caring nature for people is something that separates him from others and makes him the public servant that other attorneys aspire to be. As the Kent County Prosecuting Attorney, Mr. Forsyth took innovative measures to allow people who are involved in certain crimes to avoid going to court by taking responsibility for what occurred. The diversion program he set up requires the offenders to pay restitution and be placed under supervision by court services with programming. If the offender successfully completes his or her requirements, a conviction does not go on their record. This program allows certain offenders to make up for their offense and learn from it through extensive programming. Mr. Forsyth’s goal in this process is to get people educated and rehabilitated as soon as possible so they do not fall into a cycle of crime. Investment in people and programs like these are core components of democracy. Professional and legal ethics are a top priority in the office that Mr. Forsyth oversees. He seriously takes the responsibility of prosecutors on his staff to uphold the highest standards of integrity and acknowledges that prosecutors are ministers of justice for all, including the community, crime victims and defendants. Although he has been a career-long prosecutor, Mr. Forsyth considers himself the first defender of the innocent. He understands the balance of justice and his role in the process. This past summer he advocated the court to vacate the conviction of a man who spent time in prison for a sexual assault crime he did not commit. While investigating a cold case homicide, new evidence came to light connecting a different perpetrator for the sexual assault crime that another man was imprisoned for. Mr. Forsyth immediately went to work to get the wrongfully accused man out of prison. The man’s conviction was vacated from his record by the court and he has since been released from prison. Had Mr. Forsyth not connected the dots and been on top of the caseload he manages, an innocent man may still be in prison. Taking the initiative to do what is right, regardless of how tough it might be, for the good of people and the justice system exemplifies his high standards of ethics and fairness. While Mr. Forsyth served in an executive capacity as the Kent County Chief Prosecuting Attorney, it did not stop him from litigating cases in the courtroom. He wants the best for Kent County and the people of the State of Michigan that he serves. 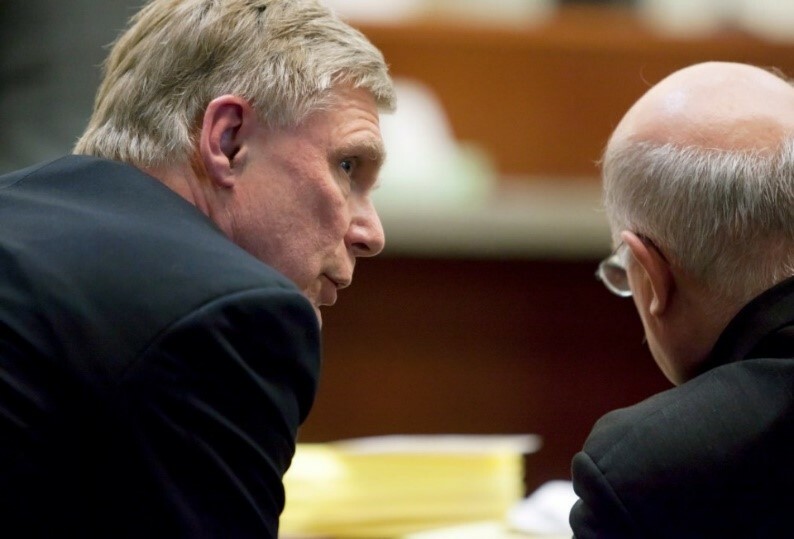 Throughout his career, he has tried over 100 felony jury trials, including 30 homicide trials. He took the lead in Kent County to ensure that cold cases do not go forgotten and victims of crime are not left behind. One of the most impressive things he has done to serve his community is to devote an assistant prosecuting attorney to work on cold cases through the investigative subpoena process, which has helped solve over 20 homicides. This process relies on the integrity and honesty of those involved and has been a powerful tool to use for the Kent County Prosecutor’s Office-- especially in an area that sees a high volume of violent crimes. It is not an easy task for one to hold public office for as long of a time as Mr. Forsyth has, let alone keep the same confidence of your electorate and the community one represents. However, in what was his last election in 2012, he garnered the most votes of any county-wide elected official with 194,089 votes. Those numbers speak volumes about the amount of respect and trust he has built throughout Kent County and proves the impact and lasting contribution he has on his community.